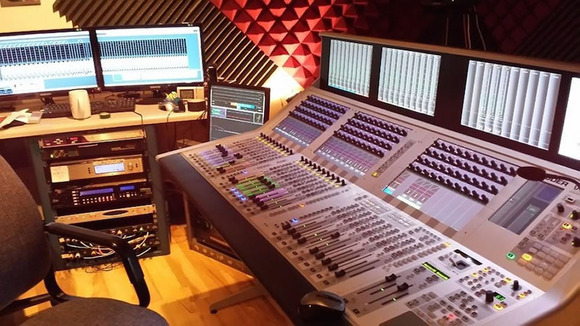 ST. LOUIS, Missouri – St. Louis Symphony’s recent investment in a HARMAN Studer Vista 5 digital console has paid immediate dividends in many ways, the most recent being the nomination of a 2015 GRAMMY® Award for classical artist John Adams’ album, City Noir. Nominated for Best Engineered Album, Classical, as well as a nomination for Best Orchestral Performance, City Noir was recorded at the St. Louis Symphony, engineered by Richard King and released on Nonesuch Records. Described by John Adams as “jazz-inflected symphonic music”, City Noir is a 35-minute, 3-movement work featuring solos for alto saxophone, trumpet, trombone, horn, viola and double bass. The GRAMMY-nominated City Noir album was recorded over two performances in February 2013 and was released through Nonesuch Records in May 2013. Since acquiring the Vista 5, the St. Louis Symphony has used the console to record all of its Saturday performances in 96k, including John Adams’ symphonic works, along with live radio broadcasts on Saturday nights via St. Louis Public Radio 90.7-KWMU. The Vista 5 is the heart of the Saturday broadcasts and recording, taking multiple streams and splitting the mixes to a multi-track, 2-track hi-res feed and then also to the mix for radio.